Several area families are counting their Christmas blessings thanks to a forty-year tradition at a local Catholic high school. More than 470 students, faculty, staff and alumnae of Little Flower Catholic High School for Girls collected clothing, shoes, and toys as part of this year’s “Operation Santa Claus.” Launched in the late 1970’s, the outreach pairs families from archdiocesan parishes with students in a given class. 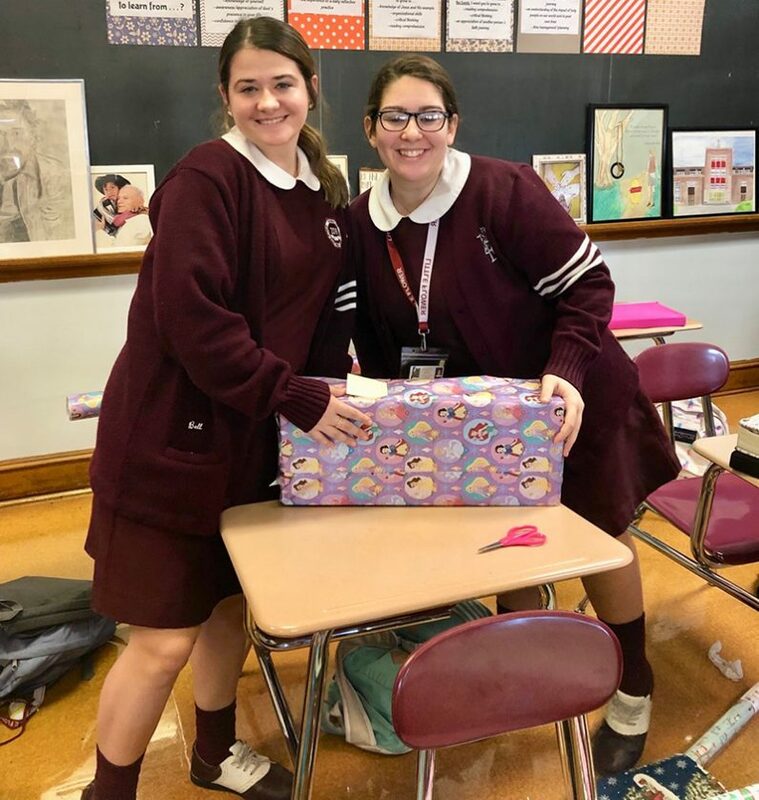 Using their own funds, the students purchased and wrapped items urgently needed by families, along with additional presents for the children. Faculty members rounded out the donations with gift cards, and alumnae then delivered the packages to the parishes for distribution. For one grateful family, those issues include poverty and immigration, said Sr. Rose Patrice Kuhn, IHM, director of Hispanic ministry at St. William Parish in Philadelphia. “We asked for help for a family that was actually three families from Guatemala living together, with 10 children among them,” she said, noting that the group had fled persecution, poverty and violence. Thousands of migrants continue to flee Latin American nations such as Guatemala, Honduras and El Salvador due to underdevelopment, corruption, and drug cartel violence. Both U.S. and Latin American officials have long pointed to U.S. demand for illegal drugs as a key factor in this movement. Earlier this month, seven-year-old Jakelin Caal, a refugee from Guatemala, died while in U.S. Border Patrol custody; her exact cause of death remains under investigation. For the Guatemalan family helped by Little Flower, the Christmas donation “makes a world of difference,” said Sister Rose. “The kids are barefoot in the winter; a few have flip flops,” she said. Addressing such needs is at the heart of “Operation Santa Claus,” said Gillespie.